To make a business more profitable than ever, it’s cardinal to cut off the extra expenditure. An entrepreneur feels the whiff of success seeing the profit graph going up. Every business nowadays requires gadgets to handle data, and maintain documents. To increase the efficiency of the workers, it’s pivotal that the gadgets are streamlined. It is no secret that ‘time and money’ are the most important facets in running a business. Optimization of both in the best of ways is what tablet pro provides its users. More and more businesses are switching to using tablets from computers these days, for obvious reasons. “Tablet pro” makes the tablet experience better, and here we are only speaking of betterment in business. Either for the employees or the employers’ usability plays a vital role to connect with each other or use the system flawlessly. Helping entrepreneurs in increasing profit by reducing the extra expenditure and time wastage ‘tablet pro’ is a revolutionizing application. Efficiency is what we are talking about here, to increase it a businessman has to keep track of every little detail. With the track-pad, it becomes easier and even fun to tag the faults, and get the best. The zoom in features helps to focus on every detail of a presentation, document, or models. Studying and maintaining records and documents becomes 10X easier. The business cosmos has neck breaking competition in every field, and every businessman is looking forward to bring the best out of the minimum investment. Profit is how we keep score in this rivalry. Tablets are a compact device to carry along; hence, it becomes easier to get on the problem as soon as it arises irrespective of where the desired handler might be. 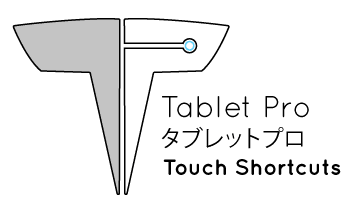 In these terms tablets are the most reliable form of gadgets one can rely upon, being bigger than the 5 inch mobile screen and smaller than the bulky computer or laptops. But still, typing is a bit arduous in these gadgets. Which is made easy by tablet pro’ features. There are thousands of satisfied customers who have had great experiences with increased performance and easier user interface. Tablet pro customizes the whole system in accordance with the user’s requirements and the business he/she is operating. Decreasing the processing time is one feature that tags along no matter what kind of system is requested. Such facilities made the application more desirable. Adding of natural gestures not only provides an eye candy for the users, but also makes the system coveted in terms of performance and usability. Opting for tablets is a smart choice indeed, adding tablet pro makes it smarter. It upgrades the business by multiplying performance. To run a successful business, it is best to utilize the best available resources. Provision of onscreen keyboard shortcut and virtual mouse increments the speed of the system. With the support of a good battery backup, this is a compendious gadget providing everything that the business might require for the best results.  Apace use of gestures and speedy switching of tabs or slides, not only prompts the user experience but also makes tablets with tablet pro application a lot more preferable option than any other existing system. On the top of it the system is completely authentic keeping in mind the privacy a business data requires.